I simply had to share with you this fab free scrap-book collection from Shabby Blogs which is exclusive to facebook fans. The kit contains so many wonderful bits and pieces, including 20 virtual papers, some very cute frames and some sweet little paper decorating pieces. 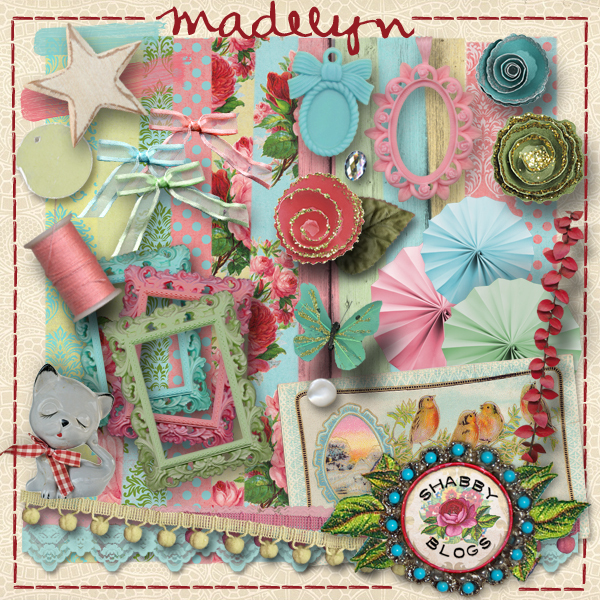 All you need to do to be able to get your hands on this fabby kit is click *here* and follow the facebook page and there you'll find the option to download the pack from Mediafire. Spread the love!